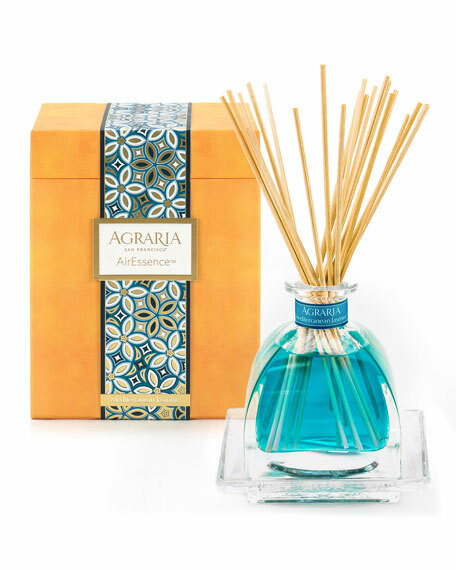 Agraria Mediterranean Jasmine AirEssence with Tray, 7.4 oz. AgrariaMediterranean Jasmine AirEssence with Tray, 7.4 oz. Presented in a beautiful, hand-blown Italian crystal perfume bottle with a glass stopper, Mediterranean Jasmine AirEssence is filled with a special formulation of AGRARIA's new Mediterranean Jasmine fragrance oil. Your heart will be conquered by this exquisite bouquet of florals - Mediterranean jasmine, blooming honeysuckle, gardenia buds, freesia, Lily of the Valley, and tuberose.  Elegantly gift-boxed with twenty 8-inch bamboo reeds.  7.4-fluid-ounce bottle measures 5 3/4 inches tall with 3 1/2-inch square base. 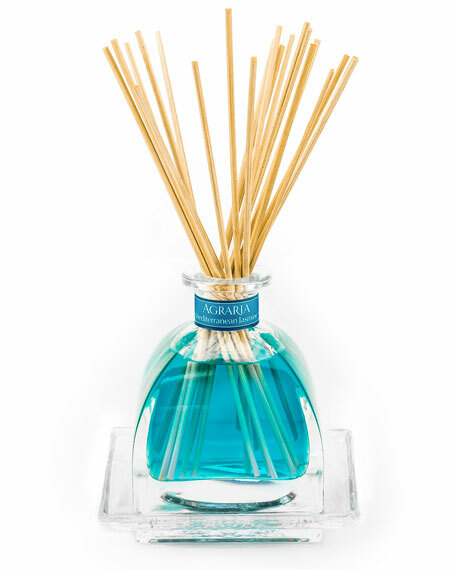 Immerse the reeds into your fragrance. Flip the reeds two or three times to saturate and flip on occasion to refresh. 219 mL / 7.4 fl. oz.